Includes the population 25 years to 64 years old. Having a Bachelor’s Degree is one measure of the abilities of our workforce. Additionally, the more educated a local population, the better able to attract employers and higher skill/higher wage jobs. 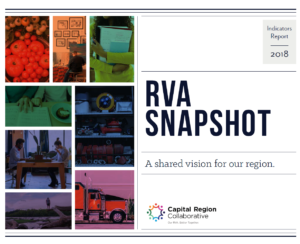 In the Richmond Region, this statistic increased from 35.7% to 39.3% since 2014.